I don’t know where to begin. The way traveling has changed my life and other people’s lives couldn’t be talked about in only 24 hours or written even books hundreds of pages long. There are a lot of things that happened during my journeys that led me to a new way of thinking, and to becoming a better person. Let’s start with a spoiled metropolitan girl who had grown up in a big capital city and in 18 years never, ever had to leave her comfort zone. Oh yes, I was referring to myself. Lucky me, my family have never faced financial problems, we live an average lifestyle, and everything has gone well for me. I went to good schools, and I eat good food. Sadly, I was selfish growing up, thinking only about myself and my future. Little me was that competitive child who joined numerous competitions from painting competitions to basketball games, etc. I have always believed that life is colorful and that we have to embrace every color we come across. I wanted to try everything, so long as I could do so within good facilities, which I demanded of my parents. If they weren’t accommodating, I mostly cried and yelled, “why can other kids get things easily while I can’t?” I believe that, growing up, I had a greedy side because I focused only on myself and mostly closed my eyes to what was happening around me. I would ask for something more without appreciating what I already had, I threw away things without considering that there are other people out there who need them. My journey to East Indonesia touched my heart. 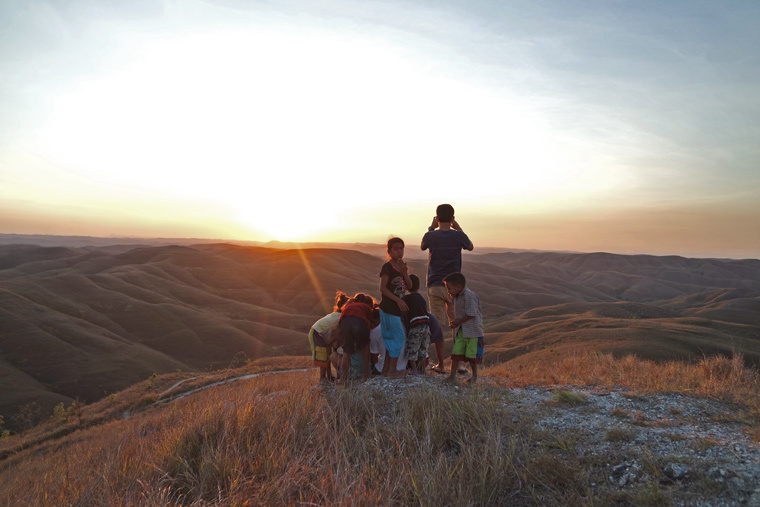 I used to cry for a pair of fancy pinky shoes to wear to school, but most kids in Sumba go to school barefoot. I would smile only when my parents bought me a new Barbie doll, but looking at Sumbanese kids laughing and running around the hill behind their houses, which they call their “playground,” had me in tears. What the hell was I thinking – that happiness could only be measured in material things, fancy shoes or new toys, while their everyday games consisted only of throwing stones on the valley? These experiences had me laughing at myself for being too selfish and for the life that I’d been living. When I say “traveling has influenced my life and other people’s lives,” it really has. I’ve got the best job in the world because it involves traveling, and I don’t work for my job because I get to call my hobby work. Being a contributing travel writer has put me in so many different situations that I have to embrace and new things that I have to deal with. Obviously it’s not about me anymore but also others. Travel, for me, is no longer only about having fun but also about finding out what you can do for the places you travel to. 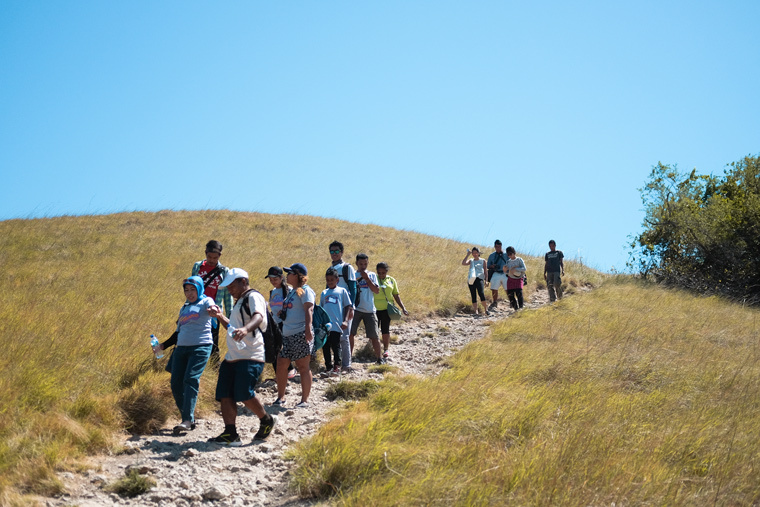 Last month I was so honored to be a part of Agoda x Taman Bacaan Pelangi and Travel Sparks’ trip to Flores. Together our mission was to empower kids living in East Indonesia to keep on dreaming by encouraging them to read books. Based on the concept of a meaningful holiday experience that creates a positive impact on both the participating volunteers and the local community, Taman Bacaan Pelangi now has 58 libraries in East Indonesia. Agoda partnered up Taman Bacaan Pelangi and Travel Sparks to build a library and to organize educational travel experiences with the kids, becoming one of the first online travel agencies to develop a corporate social responsibility program, and has brought travelling to the next level. 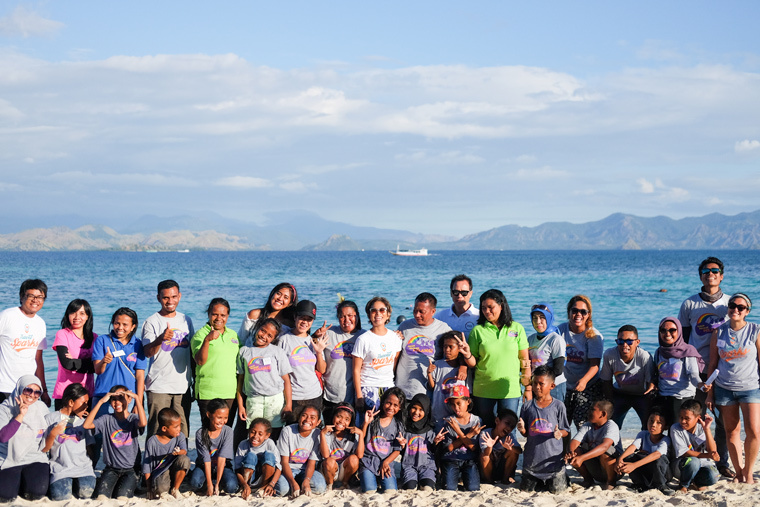 We traveled to the island of Flores for three days and two nights with 20 kids from Raja Ampat, Sumbawa, Flores, Alor, and Lombok. These kids were chosen for the stories they wrote surrounding the theme of “My Village” and their high interest in reading books at the Taman Bacaan Pelangi (library) in each of their hometowns. “I believe that the reason why I’m standing here as a country manager of Agoda is because of my love of reading books, which I’ve had since I was kid. It made me more curious about getting out of my comfort zone and traveling to see more. Through all of this, I discovered how travel could be impactful to other people’s lives”, Pak Gede shared during the sharing sessions. This became the foundation for Agoda’s program because Agoda believes in the transformative power of travel and giving back to the community in a meaningful way. I also shared a little story of my own to the kids about how important it is to have dreams. My favorite book as a child was Tin-Tin, a book that encouraged my dreams of traveling. And I am now living my dream, traveling for my job. Books give a soul to the universe, wings to the mind, flight to the imagination and life to everything. A book is a dream that you hold in your hands. Listening to the kids’ first experiences of flying on an airplane from their home to Flores was so exciting; it had me reminiscing about my first memories of flying when I was a kid because of my painting hobby. A love of books has brought these kids together, gathering individuals that come from different places and allowing them to embrace different cultures. 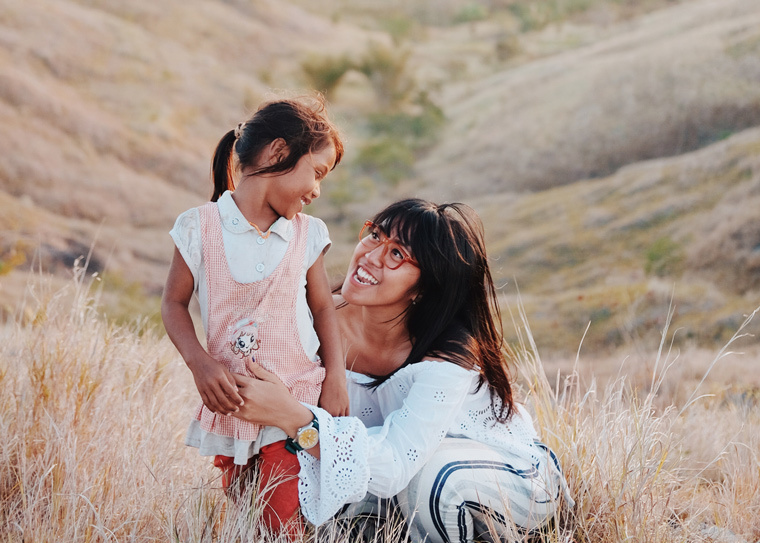 We all need to know that travelling is a luxury for some children, particularly so in East Indonesia, which has yet to be as developed as West Indonesia. Agoda gifted these curious children with a sponsored trip that rewarded their hard work and curiosity to see more of the world. 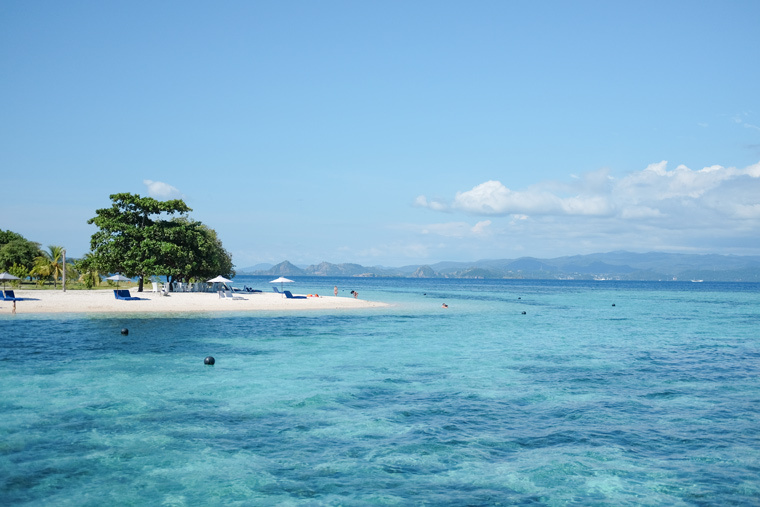 Being a part of their experiences, such as seeing the life of a Komodo dragon at the Komodo National Park, a World Heritage Site, and playing in crystal blue waters together was priceless. And it was a special moment to see them a hundred times more excited when they finished a quest organized for them and inspired by The Amazing Race. On the last day, we drove one hour away from Labuan Bajo to SDN Rangga Watu to visit the newly opened library. 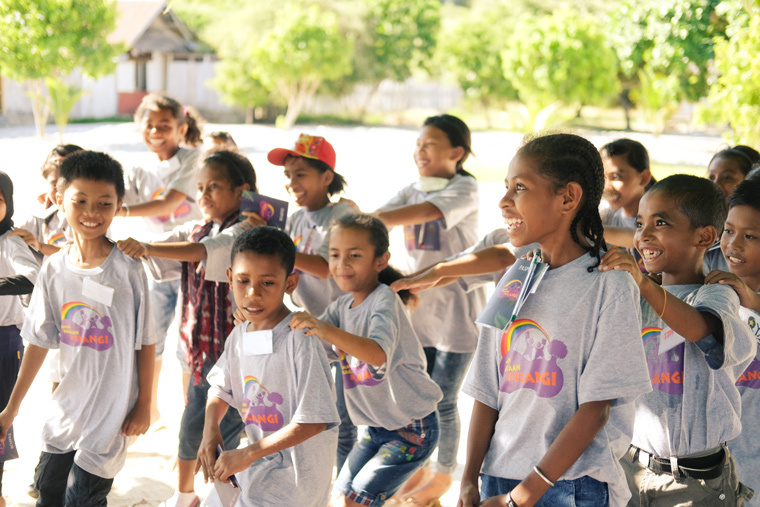 Teaming up with Travel Sparks and Taman Bacaan Pelangi, Agoda is helping to raise education and literacy levels for underprivileged children in East Indonesia. It was so exciting to see how happy everyone looked with the new library, especially the kids. We also gave them a chance to showcase their respective traditional cultures by wearing traditional dress and giving a performance. 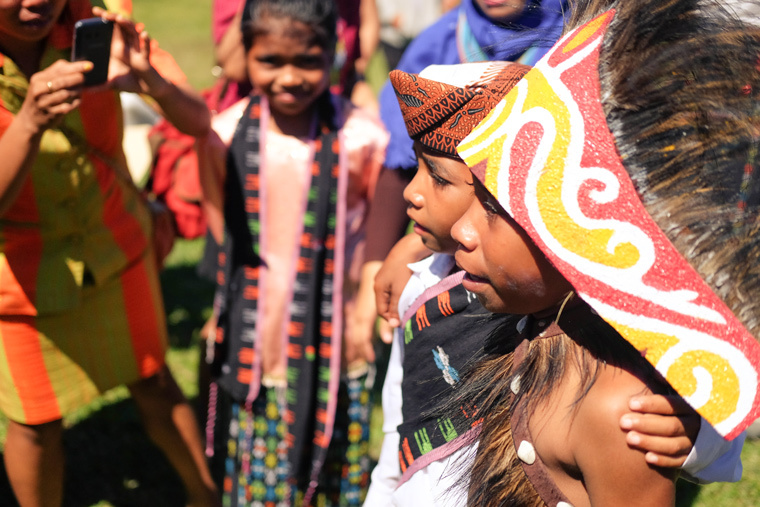 In the island of Flores, these kids showed that differences in cultural backgrounds didn’t matter in friendships. I saw with my own eyes that Indonesia truly upholds their motto of “unity in diversity.” Three days together has resulted in new relationships. From strangers to friends, who could’ve ever thought that it would end with them having a difficult time saying goodbye to each other? It was hard for me too, as I was a part of those moments where they were so curious, excited and finally sad to be separated and fly back to their homes. They showed me that true wealth, as well as happiness, are not measured by material things, but that love and friendship are far more valuable. I remember when a volunteer program organized by my university dragged me to live in Lombok for two months to help people in a remote area of Lombok improve their living by teaching them English. For me, being able to speak English is a plus. It’s a gateway to many opportunities, and it’s the only thing that will never hinder people from living in a diverse environment. On the other hand, there are still some people who don’t recognize the benefits of knowing the English language, especially that of making a better life, even though we live in the same country. While I thought that what I did to help them have a better life was small, they appreciated what I did much more than I would have expected them to. We were in Flores to provide kids with a wider variety of quality books to broaden their knowledge and foster a love of reading in each student. But through this journey and our stories, and together with Agoda, Taman Bacaan Pelangi and Travel Sparks, we also really hope that what we did has inspired the children to believe that every big thing begins with a big dream. Because children are our greatest treasure and they are our future. That happiness is not always caused by fulfilling what you want, but also by sharing what you have or what you can do for those who might need it. It made me realize that the little things I do can actually influence other people’s lives more than I’d ever thought and it might even be making people’s lives better too. A friend of mine said that “there are three level of happiness; happiness with what you do, happiness when shared with other people, and happiness when knowing that what you do is beneficial for other people”. And that is something that I believe to this day.